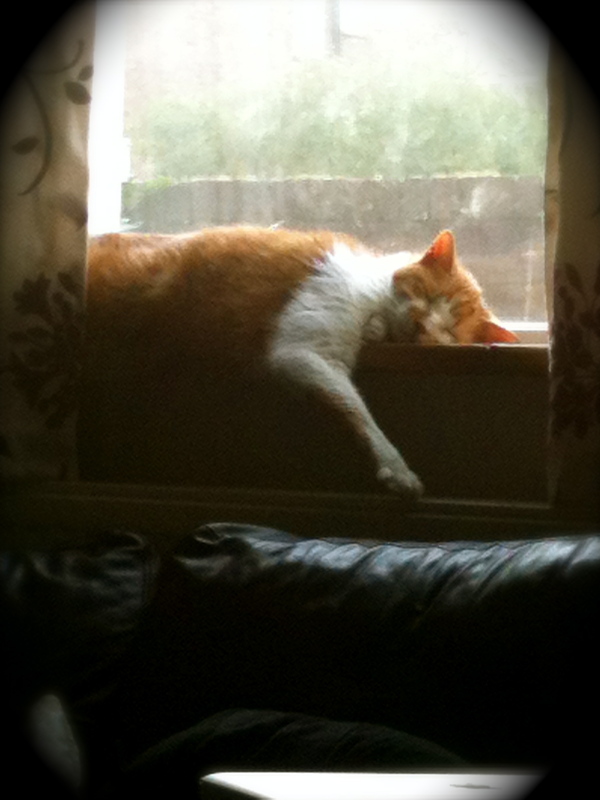 Pumpkin is asleep in our window this afternoon. He has had an ear infection and he patiently lets me clean his grotty ear and put drops in it. Afterwards he crawls on my lap for comfort. How trusting he is, even after I’ve assaulted him with ear swabs and medicine bottles. The warm weather of last week is gone and it’s been replaced by cold, crisp days. I understand that there is snow in the forecast for Wednesday. My Old Man Dog used to come sit in front of me and tip his head to one side whenever I used to get the eardrops bottle because he knew there would be a cake following the unpleasantness.